Salsa and Latin courses, classes, dance workshops, performance courses, Dance Teacher Training in Hammersmith Salsa Club and Putney Salsa Club. Also Bachata classes, all over London, beginners, Improvers, up to advanced. 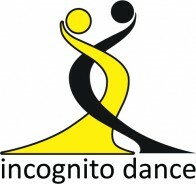 Incognito Dance Company (IDC) was established in 1999. It has some of the most experienced and qualified Latin Dance instructors and performers in Europe. All our Latin dance courses, workshops, holidays, events and clubs are run and taught by highly trained, friendly instructors who encourage dancers of all levels to enjoy the spirit of dance. Incognito Dance has won many prestigious awards, including UK’s Premier Salsa Teachers 2008/9 and 2015 and 2018, London Latin DJ Star 2010/12/14/18, Favourite London Club Promotors 2009/2012 and 2017, Lukas Award Winners 2013 and 2017, Best Salsa Dance Performers 2015 and 2018. Over the last 20 years, some of the IDC instructors have competed in and won, World Championships, European Open Championships, South American World Ranking Tournaments, Asian-Pacific Dance Competition and Canadian Latin Open Championships.